An End To Buy-and-Hold Stock Investing? Financial planners and writers love to assure skittish investors that, no matter how bad the stock market looks right now, share prices always go up by 10 percent or so in the long run. A Yahoo Finance columnist assures us that since the 1920s, "stocks returned an average of 10.5 percent a year on investment." A New York Times article in 2005 says "money invested in the Standard & Poor's 500 has delivered a return of 10 percent a year on average," or 12 percent with dividends. Bloomberg News estimates the S&P 500 has a "long-term average of 9 percent to 10 percent." 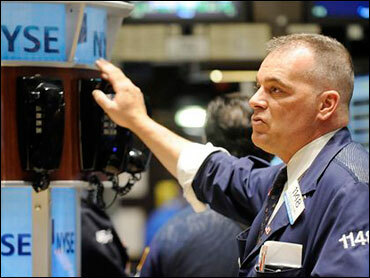 Monday's news that the Dow Jones industrial average fell 4.24 percent in one day to 6,763 calls into question those reassuring assumptions -- which many investors have relied on to fund their retirement. Let's look at some rough numbers: In March 1969, the Dow Jones industrial average was hovering around 920 points. Still think that's a good deal? Remember that the 28 percent gain doesn't include taxes, changes in the Dow components, or the annual costs of owning a mutual fund that attempts to mimic the average. If you were to buy a share of a hypothetical Dow mutual fund for $920 in 1969 and sold it yesterday for $6,763, after taking inflation into account, you'd end up with $1,463. Plus, changes in the Dow components -- AIG was removed after its fall from grace -- mean that your mutual fund that tries to mimic the index by buying and selling shares may lag behind, costing you and other investors still more money. All this means a hypothetical 1969-to-2009 investor might lose money after inflation even if he bought and hold stocks over his or her entire working lifetime. Keep this in mind the next time someone assures you "stocks always go up in the long run" -- yes, they do if you wait long enough, but as John Maynard Keynes noted, in the long run we're all dead. This example isn't meant to suggest buying stocks is necessarily unwise. All long-term investors have to take the Federal Reserve's gradual devaluation of the U.S. dollar into account. Stocks have proven to be more adept at fending off inflation than savings accounts or government bonds, although recently gold has become popular once again. A 1998 working paper from the National Bureau of Economic Research is more humble, and probably more accurate, than many so-called financial pundits. It suggests a 95 percent chance that stocks do between 3 percent and 13 percent better than bonds over long periods. It's true that picking a 40-year period ending in 2009 is arbitrary; starting with a date in the 1930s and ending in the late 1960s would have generated a much better inflation-adjusted return. Then again, not all of us are lucky enough to buy at a market bottom. In fact, many of us are wondering whether this week's news means one even exists.